Most of us have experienced it at one time or another: we sprain a wrist, an ankle, or another joint. Instead of being met with sympathy, our friends and family minimize the injury, telling us it’s “only” a sprain and how lucky we are that we didn’t break a bone. Ankle sprains are particularly common – tens of thousands of Americans sprain their ankles each year, and many assume that the injury has little bearing on future ankle health. New studies, however, suggest that an ankle sprain may be more serious than once thought. In this blog, orthopedic foot and ankle specialist, Dr. Stuart Katchis, will explain what happens when you sprain your ankle and why sprained ankle treatment matters for ankle health down the line. What happens when you sprain your ankle? Many people confuse sprains and strains. Strains are the lesser of the two injuries, and involve muscles. Sprains, on the other hand, are injuries to ligaments. An ankle sprain happens when the foot twists, turns, or rolls beyond its normal range of motion. This often happens during sports-related activities, but it can also occur when you step onto an uneven surface, step down at an angle, or do something simple like misjudge the depth of a stair. Motions like these put the ligaments in an abnormal position and stretch them beyond their normal range, thus injuring them. The more abnormal the angle and the more force behind the motion, the more severe the sprain will be. What impact does an ankle sprain have? People tend to downplay ankle sprains, especially mild ones, as if they aren’t significant injuries. However, even mild sprains can have a long-term effect. Proper sprained ankle treatment is important to protect the integrity of your ankles later on, and once you experience a sprain, you’re more likely to have it happen again. When you sprain an ankle, the ligaments are stretched and weakened. Without proper sprained ankle treatment, they may not regain their former strength and stability, making a second (or third) sprain more likely. The damage becomes worse with each subsequent sprain, resulting in a condition called ankle instability. In ankle instability, the ligaments supporting your ankle are chronically weak and stretched, reducing their support and allowing the ankle to frequently roll or “give out.” Receiving proper sprained ankle treatment can lower your risk of developing ankle instability. What does treatment for an ankle sprain involve? The appropriate sprained ankle treatment depends upon the type and severity of the sprain, so it’s important to seek evaluation from an orthopedist who specializes in ankles. Mild sprains are usually treated with the RICE prescription—rest, ice, compression, and elevation. Moderate sprains may require the ankle to be immobilized, using an air cast or an orthopedic boot. Severe sprains, in which there is a complete tear or rupture of ligaments, are often treated with RICE and immobilization as well. No matter the severity of your ankle sprain, proper treatment commonly involves a period of protected weight bearing, meaning that you only place a limited amount of weight on the affected foot, pain permitting. This may be followed by rehabilitation such as stretching, strengthening, and range-of-motion exercises to restore function. Surgical treatment is rarely necessary. Surgery is only considered if a sprain fails to respond to nonsurgical treatment or if you have persistent ankle instability after months of rehabilitation and nonsurgical treatment. Why is sprained ankle treatment so important? A sprained ankle can do more than result in ankle instability. It can lead you to spend less time on your feet, cause chronic ankle pain, and even impact your balance. In fact, earlier this year, researchers at the University of North Carolina found that a single ankle sprain can affect your movement patterns and how much you walk for the rest of your life. Where can I find sprained ankle treatment in NYC? While ankle sprains can be effectively treated with conservative options, they are not an injury that should be taken lightly – particularly if you’ve suffered a severe sprain or multiple sprains in the past. If you’ve suffered from an ankle sprain, don’t put your future ankle health at risk. 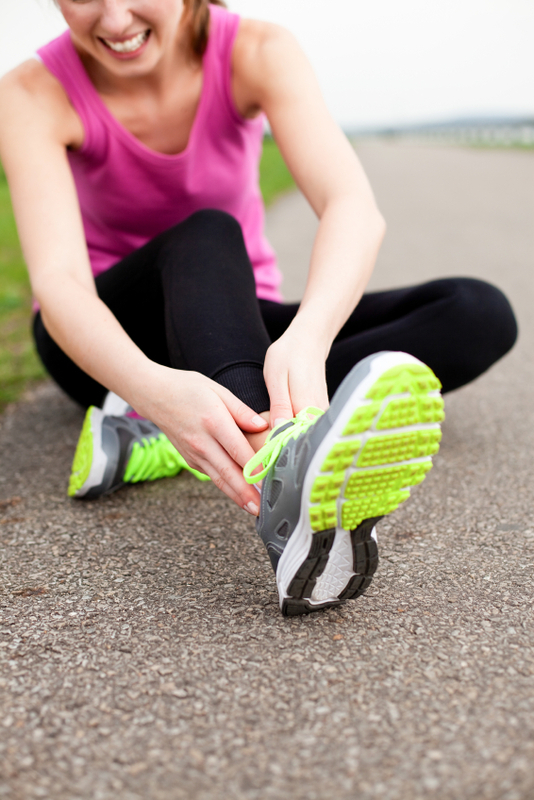 Schedule a consultation with Dr. Katchis to learn more about sprained ankle treatment. Should I Undergo An Achilles Tendon Repair? What Does Treatment for Posttraumatic Ankle Arthritis Involve?